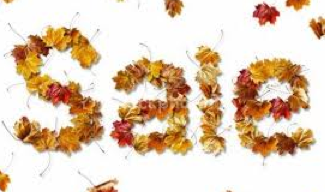 We are having a Fall Sale this weekend! 20% off in our TpT Stores! Click our buttons to the right of this blog post. 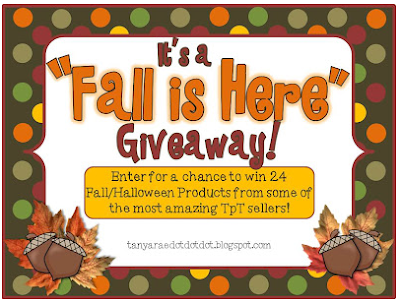 Tanya Rae is also having a "Fall is Here" Giveaway! Click the image below to go to her giveaway. You will notice Stephany's Spooktacular Literacy Center & Station Activities and my Witches Brew and More Packet in her giveaway. Speaking of giveaways... We are having a giveaway here. Click the image below to link to our giveaway. 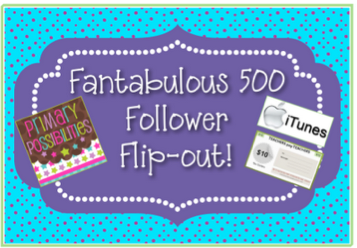 I love your blog and your TpT store! Thank you for the advice on my blog, and I finally have the "follow me" gadget added to my blog... I hope you will come check it out! Thank you again! Thanks for downloading my Apple Picking emergent reader today and providing great feedback. I am excited to explore your blog!